These bright, colorful tie dye bags are sure to go fast! Bag is tie dyed then embroidered with coordinating colored thread. Zipper closure and a wide strap for comfort. 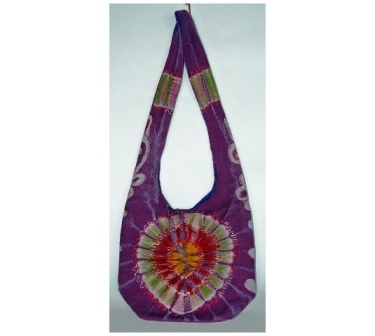 This tie dye hippie purse measures approximately 16" x 14". I love this bag. I have gotten so many complements on it.